Dr. Victoria Kisyombe is the founder of SELFINA, a company in Tanzania that provides micro-leasing to mostly widows and young girls. Victoria is a leader who has used innovation, initiative, and determination to empower women in Tanzania to become economically self-sufficient. Given women’s lack of collateral and resulting lack of access to capital, Victoria began pioneering micro-leasing as a solution. Her pioneering micro-leasing model as an alternative way to financing women has generated praise beyond Tanzania, and efforts are under way to expand the model to other countries in the region. SELFINA has gone on to finance 27,000 women, create 150,000 jobs, with 250,000 people impacted and US$17 Million revolved. Victoria’s incredible journey into entrepreneurship emerged as a result of personal tragedy and the unexpected death of her husband back in 1991. For her and their three young children, life was to change inexorably as she was left to deal with the resulting social and economic challenges facing them. An entrepreneurial approach to life thereafter provided the solution. Founded by Dr. Victoria Kisyombe in 2002, SELFINA has taken a lead role as the pioneer of micro-credit in Tanzania through micro-leasing with particular attention to widows and young girls. Since I founded my company SELFINA 20 years ago, I have seen the enormous impact a small investment can make in the life of a woman. And it doesn’t stop there — from one modest lease, a woman can create dozens of jobs, touching the lives of dozens more. Bank of America Retail Products and Underwriting Executive Titi Cole and Dr. Victoria Kisyombe, Managing Director of Selfina share reflections on the importance of mentoring and women’s economic empowerment. Dr. Victoria Kisyombe has founded micro-financing for women in Tanzania, and is now working to empower women worldwide. Victoria is a leader who has used innovation, initiative, and determination to empower women in Tanzania to become economically self-sufficient. Watch her address at TEDx Berkeley. Victoria Kisyombe, founder of SELFINA, a pioneering micro-credit organization for women in Tanzania, talks to the Post's Lillian Cunningham about what motivated her work and how she turned personal loss into strength. 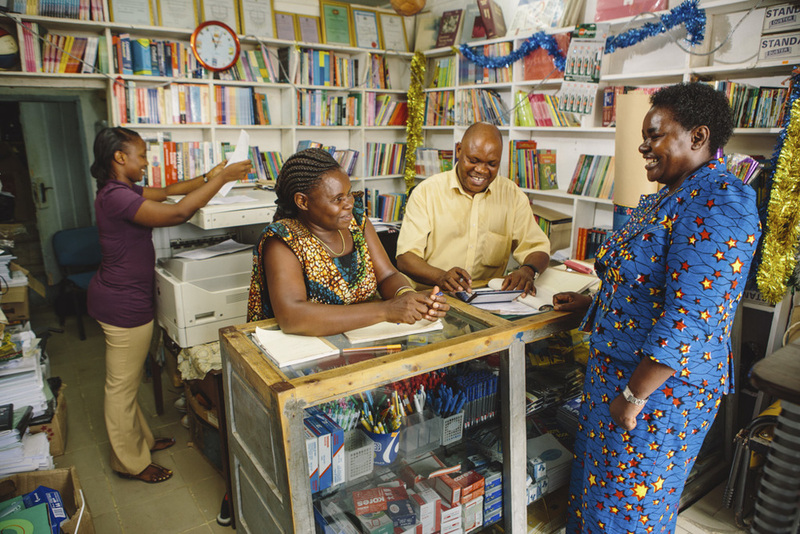 Inspiring viewing: Since 2002, SELFINA, Sero Lease and Finance Ltd., has invested in 25,000 Tanzanian women entrepreneurs and created 125,000 jobs through an innovative micro-leasing program. "The secret behind it is the love we have for the people," says Dr. Victoria Kisyombe, Selfina's founder. - Victoria Kisyombe founded SELFINA in 2002 and pioneered micro-credit in Tanzania through micro-leasing with a focus on widows and young girls. Victoria helped women overcome many of the traditional stumbling blocks that made it difficult for them to own land and assets. SELFINA has gone on to economically empower more than 25,000 women with a total credit worth 25 billion Tanzanian Shillings (approximately $16 million US dollars). Over 200,000 lives have been impacted through the benefits accrued. "This is the era for Africa to move forward, and if Africa is moving forward, the women can move forward with it." "I have seen the enormous impact a small investment can make in the life of a woman. And it doesn’t stop there — from one modest lease, a woman can create dozens of jobs, touching the lives of dozens more." "It was that 'a-ha moment.' 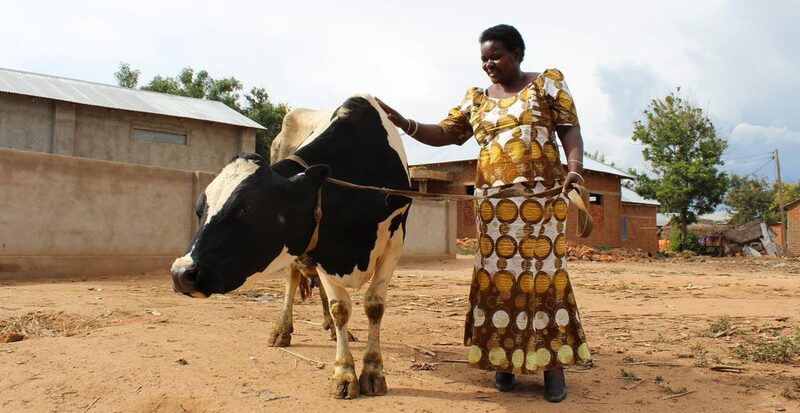 If a woman could have a cow like I had, she could have an asset that could generate income, then we could go around the problem of not being able to access financing." 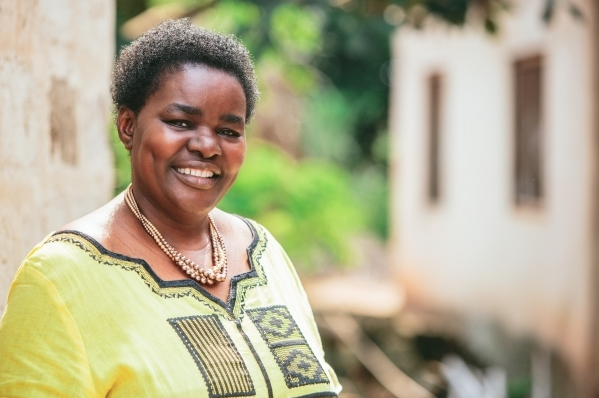 Dr. Victoria Kisyombe was motivated to launch a business to provide women entrepreneurs, specifically micro-entrepreneurs in rural areas of Tanzania, with the financial support they needed to create and sustain their own business. Her personal experience opened her eyes to a new horizon — that of widows left without land or significant assets. SELFINA was developed out of a need to overcome the barriers that social norms and customary law often impose on women entrepreneurs in the East African country.Dr. Victoria's personal experiences along with her academic interests have inspired her to serve widows without land or significant assets. She was motivated to launch a business to provide women entrepreneurs, specifically micro-entrepreneurs in rural areas of Tanzania, with the financial support they needed to create and sustain their own business. What happens when you combine innovative micro-financing practices for women entrepreneurs in Tanzania with the universal values of love and compassion? Jobs are created, businesses are built, and lives are transformed.